I call this lionfish ceviche recipe “Pico de León” since the dish is a cross between lionfish ceviche and fresh Mexican pico de gallo that I put together and very much enjoy. I prefer this lionfish ceviche to be much spicier than my lionfish ceviche in watermelon in gazpacho as well! Prepare the lionfish ceviche as usual: Combine lionfish, onions, cilantro and jalapeño. Cover with lime juice and let it chill for 1/2 hour to 2 hours in the refrigerator. I prefer to drain my ceviche just prior to serving then adding the diced tomato and several dashes of Tabasco to my desired level of spiciness; I really like the vinegar and brightness Tabasco adds to the overall flavor profile. Add sea salt and cracked black pepper to taste. Serve with saltine crackers or tortilla chips and cold lime wedges. Enjoy the taste knowing that you are helping to save our oceans, making the most responsible choice in seafood possible and eating a very healthy meal, too! My preferred beverage(s) of choice with Pico de León is a chilled “sipping” reposado Tequila like Don Julio served behind very cold Mexican beer like Sol Cerveza with lime wedges – lots of lime wedges! 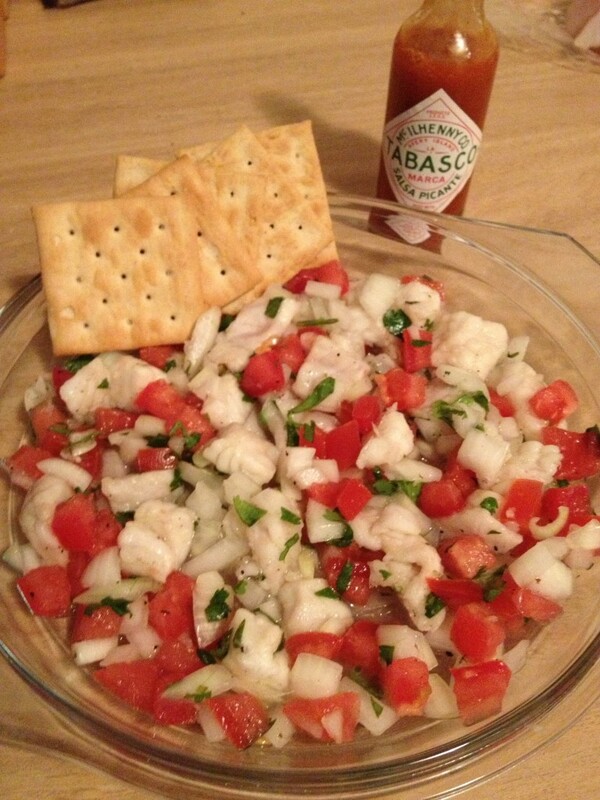 Do you have a favorite lionfish ceviche recipe that you prefer? What would you do differently to the “Pico de León” recipe? We’d love to see your favorite recipes and serving suggestions in the comments below! I would be interested in sharing your lionfish recipes (giving you full credit for them) on our website and with our Facebook Followers if that would be ok with you? I’ll keep doing just that. Thanks! « Beat the Heat with Lionfish Ceviche in Watermelon Gazpacho!